The person behind Life, Fortune, and Time magazines, his cooperation with the powers of his day perfectly demonstrate what “the elite” is, and how power works today. His influence, connection to American industrialists, and membership in the secret society Skull and Bones at Yale University make him a relevant character to learn about. Henry Luce married with two separate ceremonies: one regular wedding, and one “Skull and Bones wedding.” He married Lila Ross Hotz, who belonged to a wealthy Chicago family similar to the McCormick family that connected Luce to power. Henry was born in Tengchow, China, the son of a Presbyterian missionary named Henry Winters Luce on April 3rd, 1898. In 1905 he was sent to the United States. In Chicago, his family met Nancy Fowler McCormick, the wealthy widow of Cyrus McCormick: a powerful man from the McCormick family. That line reads like a page out of the robber baron descendant David Rockefeller biography, in which David just happens upon some of the most prominent positions a man could find. Cyrus Hall McCormick (February 15, 1809 – May 13, 1884) was an American inventor and businessperson, the founder of the McCormick Harvesting Machine Company, which later became part of the International Harvester Company in 1902. From the Blue Ridge Mountains of Virginia, he and many members of his family became prominent residents of Chicago. He was born to inventor Robert McCormick who was essentially the patriarch of the family, having invented a version of the reaper. Robert’s father Robert McCormick Sr. was an American Revolutionary War veteran: power is passed on. The well-connected Nancy McCormick introduced him to opportunities, and another member of that family, Robert R. McCormick, was the owner of the Chicago Tribune. He spent time in many regions of the world in his childhood, attending China Inland Mission School in 1907, St Albans school in England in 1911, and also in Switzerland. By 1913 he was in Connecticut, where he attended Hotchkiss school. In 1916, Henry Luce was trying to publish writing in the Yale Daily News, and by 1919 he became a member of Skull and Bones. Luce and Hadden both wanted to become members of the Skull and Bones group. Only fifteen students were allowed to join each year. They achieved the honour in 1919. Other members of this secret society include William Howard Taft, Henry L. Stimson, William Averell Harriman, Clarence Douglas Dillon, Frederick Trubee Davison, James Jesus Angleton, William F. Buckley, McGeorge Bundy, Robert A. Lovett, Potter Stewart, Lewis Lapham, George H. W. Bush and his son, George W. Bush. Skull and Bones is of course one of the most well-known fraternal orders or secret societies in America. As Thomas Jefferson was a member of the “Flat Hat Club,” Skull and Bones birthed notorious figureheads of power. In the 2004 presidential election, George W. Bush and John Kerry went against each other: both members of Skull and Bones at Yale. The two both openly admitted they didn’t want to talk about it, in a characteristically similar way. The big picture about the importance of secret societies in understanding the way power works was explored in this documentary. By 1920, his connections seemed to broaden. Around that time Nancy Fowler McCormick introduced Henry Luce to Victor Lawson, owner of the Chicago Daily News. He didn’t work there for long. 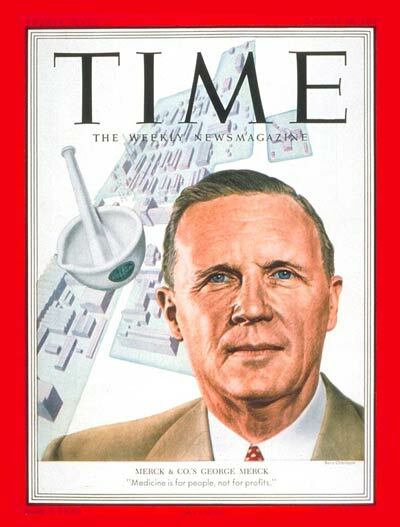 After a few more brushes with power, including a meeting with John Wesley Hanes, an experienced figure on Wall Street, Time magazine was first published in 1923. 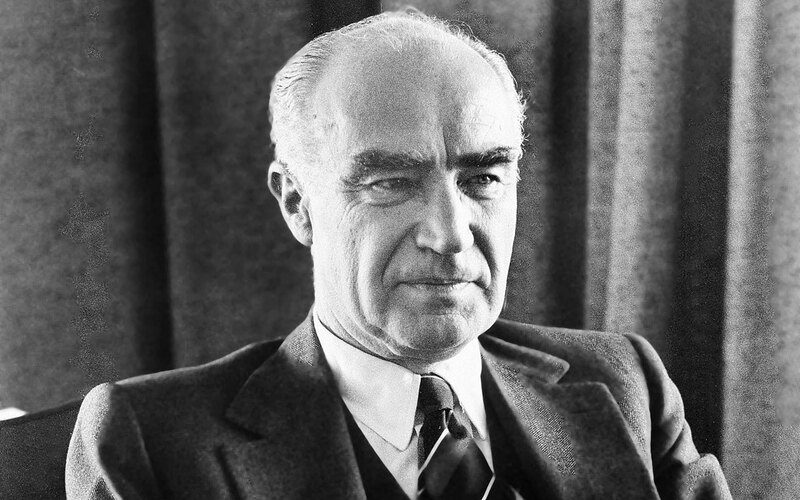 Time magazine was founded when Henry Luce and his partner Briton Hadden “used their contacts through the Skull and Bones secret society,” to directly quote a mainstream source about Luce, to get connected to the real echelons of power: J.P. Morgan figures, Standard Oil figures, and the like. Henry Pomeroy Davison, a senior partner at J.P. Morgan, began to invest money in the new Timemagazine, and convinced his associate Dwight Morrow to buy stock in it. 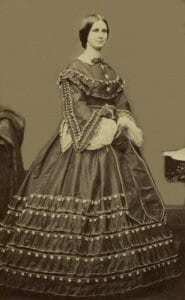 Louise Harkness, daughter of William L. Harkness, a leading figure in Standard Oil, invested money in Time magazine after she inherited $53,439,437. Luce and his partner raised about $85,675 by 1922 (a lot of money back then), and the first edition of Time magazine was published on 3rd March, 1923. The history of Time magazine supporting the elite they were in alliance with is worthy of an article in itself. They epitomized the relationship between media and the powers-that-be, and it works similarly today. 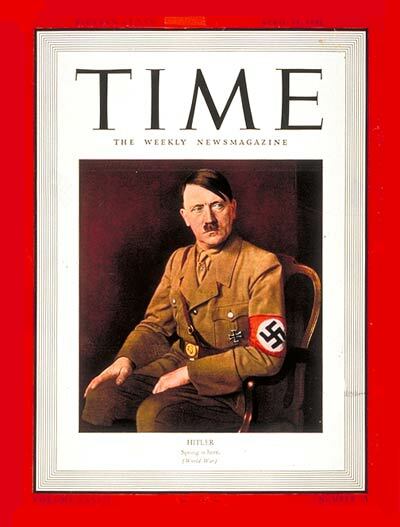 A few noteworthy moments include Time’s promotion of Adolf Hitler as “man of the year” in a 1939 edition, and the promotion of vaccine producer Merck’s president in a 1952 edition, after he was involved with a secret biowarfare program for the War Research Service. These are just interesting bits of info on a complex timeline. Time simply pushed the propaganda line for the complex of powers that apparently gave him funding in the first place: basically how mainstream media works today. 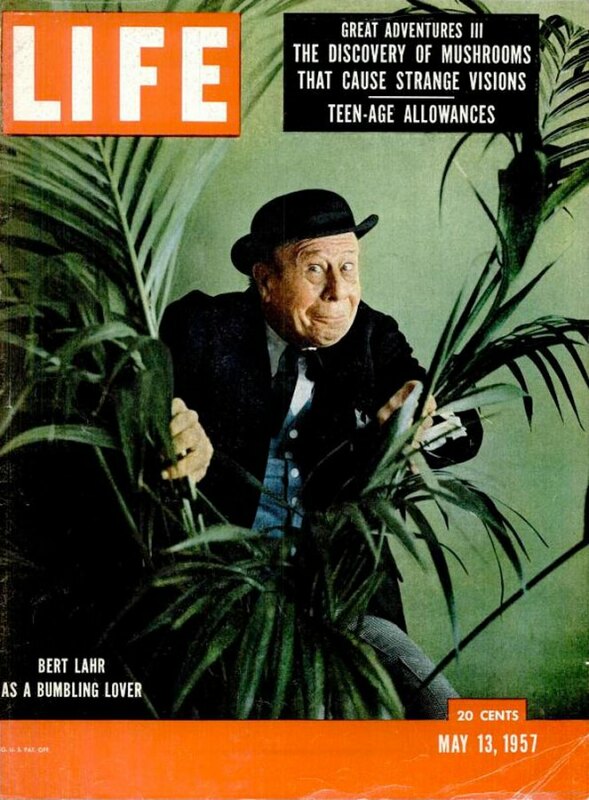 The Life magazine he purchased was an instrument of the CIA at times. They published a 1957 editionwith ex-Chase banker R. Gordon Wasson, promoting psychedelic mushrooms for the CIA, and the CIA’s correspondence with Wasson was well documented. Although they eventually banned psilocybin mushrooms because they are more medicinal than useful in controlling people, at the time the agenda was to promote them, as MK Ultra was in full swing. The CIA’s Operation Mockingbird may have taken Luce’s magazines to a whole other level as propaganda mouthpieces: it seems very likely that his magazines were a part of this. The CIA has always been connected to the wealthy industrialists in America, from the J.P. Morgan people to the Rockefellers. Henry Luce used Time to fight viciously against the policies of John F. Kennedy, and in favor of a Cuban conflict. Eventually, parts of the JFK story were buried as a result of their actions. Soon after the assassination [of JFK] Charles Douglas Jackson also successfully negotiated with Marina Oswald the exclusive rights to her story. Peter Dale Scott argues in his book Deep Politics and the Death of JFK (1996) that Jackson, on the urging of Allen Dulles, employed Isaac Don Levine, a veteran CIA publicist, to ghost-write Marina’s story. This story never appeared in print. Hopefully this article provided insight into what we mean when we say “the elite.” “The elite” is a non-complicated way to describe this web of people: bankers, intelligence agencies, and wealthy industrialists in the era of Henry Luce. There are different factions of “the elite,” and different categories one could place an elite individual or entity into, such as corporate power, or governmental power, or institutional power. Even “occult,” or hidden power exists, and secret societies play some role that isn’t easily understood by outsiders. The elite today seems to function in an even more consolidated fashion than in the era of Henry Luce.